Aromatherapy is a form of alternative medicine that uses volatile plant oils, including essential oils for the psychological and physical well-being of the individual. Essential oils, the pure essence of the plant, are used for the purpose of altering a person's mood, cognitive function or health when used correctly and safely. In addition to essentail oils, aromatherapy encourages the use of other natural ingredients including cold pressed vegetable oils, jojoba oil (a liquid wax) hydrosols, herbs, sea salts, sugars (exfoliants) clays and muds. There are two basic mechanisms that can cause the intended effect. Aerosol inhalation, which is the effect of the aroma on the brain, especially the limbic system; and direct pharmacological effects when the oil is applied directly on the body using a carrier oil or medium, or, in some cases, alone. I use only medicinal grade essential oils and food grade carrier oils. I have a few "stock" blends that I use daily in my massage practice, working with clients that are suffering some type of muscle dysfunction; acute- injury related, or chronic dysfunction caused by years of compensation, stress or impaired posture. I consult with clients seeking an alternative or adjunct therapy to traditional western medications and treatments. I have successfully assisted clients with pain management from rheumatoid arthritis, blood pressure management, as well as helping gastrointestinal dysfunctions to name a few. Please check back on the testimonial page to read first hand accounts of how the blends have assisted individuals just like you; restoring them to better health and function. 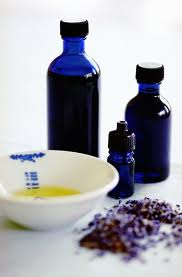 If you have any questions or wonder if aromatherapy may help you, please feel free to call.